Federal Bank in India is looking to replace its legacy treasury system, supplied by Intellect Design Arena. It issued a request for proposal (RFP) for procurement and migration of treasury management. The bank currently runs its treasury operations from its Mumbai office, and is active in domestic, FX and derivative sectors. Since 2009, these have been supported by a system from a local vendor, LaserSoft (Intellect Design Arena bought LaserSoft in 2009). “As it is due for a technology upgrade, the bank would like to implement a standard solution with proven credentials,” Federal Bank says. The new system should support front-to-back office operations, enabling straight-through processing (STP). It should “integrate well” with the bank’s dealing systems, the core platform (Infosys’ Finacle), and SAS risk management tools in the middle office. The system will be used by domestic and international financial units. 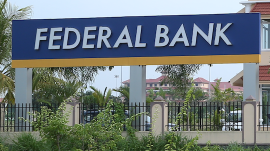 For enabling merchant FX transactions, Federal Bank will have the screens made accessible by branches and customers – 100 branches and 250 customers. Banking Technology understands that the bank’s preference is to run the software on an Oracle database. Once the new supplier and system are found, the implementation project is expected to last six to eight months.